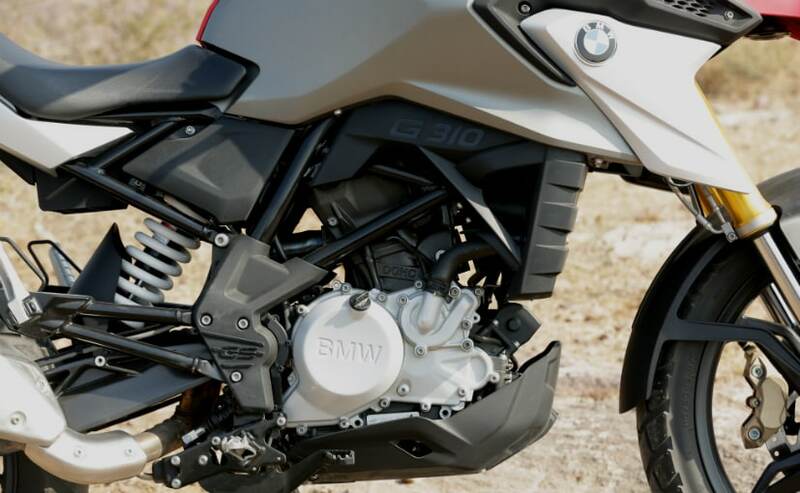 The BMW G 310 GS is an adventure motorcycle and the smallest and the most affordable one from BMW but it does pack a punch and comes across as a motorcycle which is keen on taking on the unknown. It might be the 'baby' GS but does it have a heart large enough as its elder and rather illustrious sibling, the R 1200 GS or the R 1250 GS (now that the R 1250 replaces the R 1200). We spent a good day riding the BMW G 310 GS on tarmac and off-road as well and here's what we think about it. Baby GS, or is it? Well, as far as looks are concerned, it definitely is a baby GS! 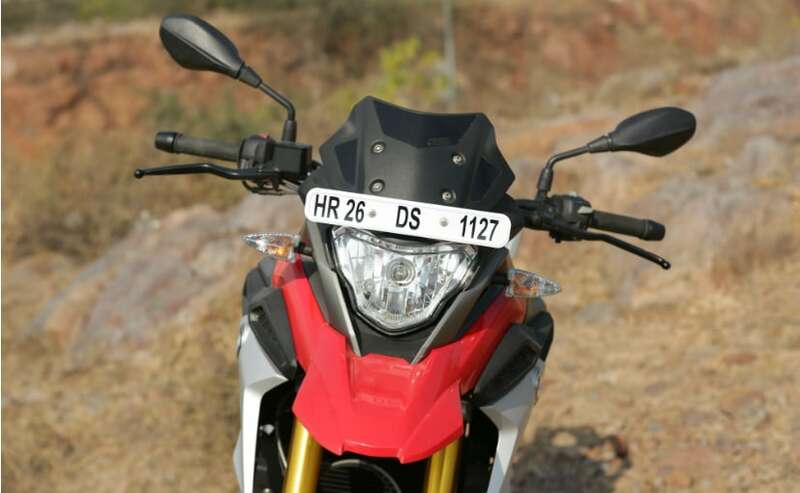 Tall stance, muscular tank, typical beak-like protrusion of the front mudguard and those bold GS lettering on the fuel tank give the bike good road presence. The front end in particular, looks good with that angular headlamp and the 19-inch Metzeler Tourance dual-purpose tyre and the 41 mm gold upside down forks. So, it definitely looks the part of a typical ADV. The quality is undeniably good and fit and finish too is something that you would expect on a BMW. The BMW G 310 GS is not exactly a feature rich motorcycle. It gets a fully digital LCD screen and the switchgear is backlit too. 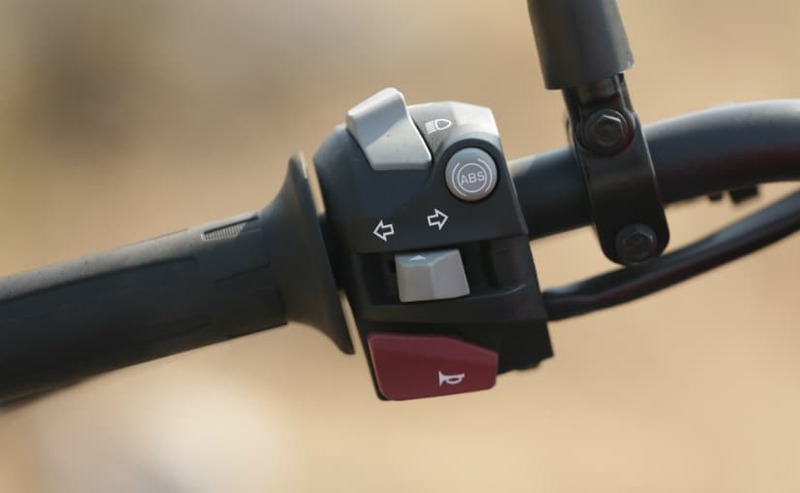 The front wheel gets a 300 mm disc while the rear wheel gets a 240 mm disc and there is dual-channel ABS on offer as well. For those who like to go touring, there is a nice luggage rack at the rear which is big enough to accommodate a decent sized tail bag. BMW has provided a small button on the left switchgear which lets you dis-engage the ABS on the rear wheel when required, quite thoughtfully! What it does miss out on is LED daytime running lamps or LED headlamp and a colour TFT screen. Pretty good actually! 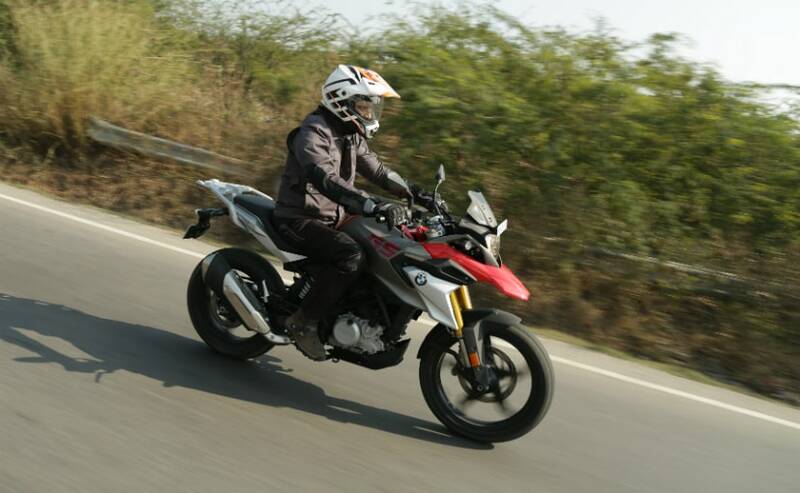 The motorcycle has plenty of torque in the mid-range and a good top end too. The performance is complemented by a supple ride quality which disregards all undulations on the road with casual indifference. The G 310 GS has a claimed top speed of 143 kmph and while it wouldn't like to sit at those speeds long, it will happily cruise at 100-120 kmph all day long without missing a beat. The six-speed gearbox is not exactly butter smooth but it works well. Speaking of gearing, pulling through at low speeds and lower gears isn't quite the motorcycle's forte. The torque in the low-end is lacking and we did end up stalling the bike a couple times when starting from standstill. You have to constantly work the gears and that might not offer a good riding experience in peak traffic. 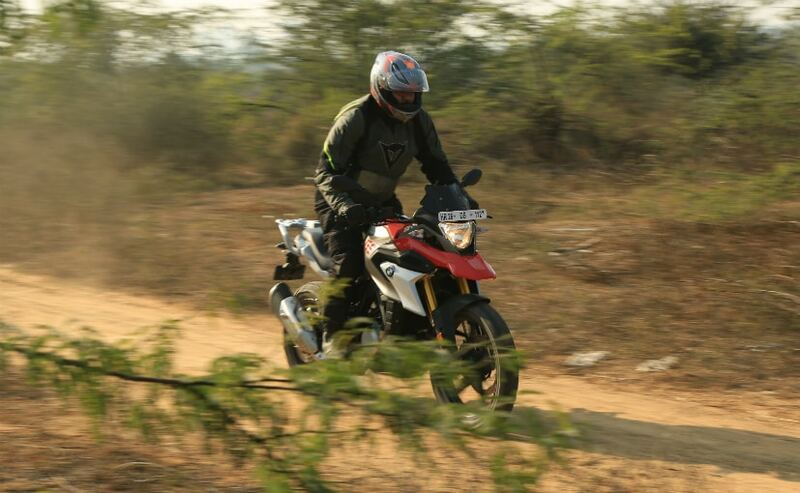 As far as handling is concerned, the G 310 GS is nimble on its feet and is up for quick direction changes. It is no corner carver, but show it a set of twisties and it will not shy away from them. The grip from the Metzeler Tourance tyres is decent too. The handlebar-seat geometry is designed for comfort. Swinging your leg over the seat might take a bit of an effort as the seat height is 835 mm, which could feel a little intimidating for the average Indian male or female. The seat itself feels slightly cramped but is soft enough for long rides (I like to keep my bottom on soft seats, some like it hard though). 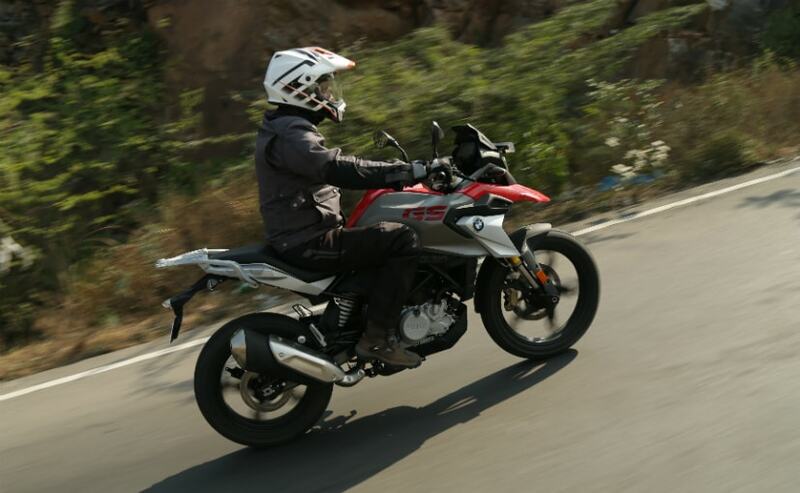 Overall, the BMW G 310 GS makes a lot of sense if you want to spend most of your time on-road. 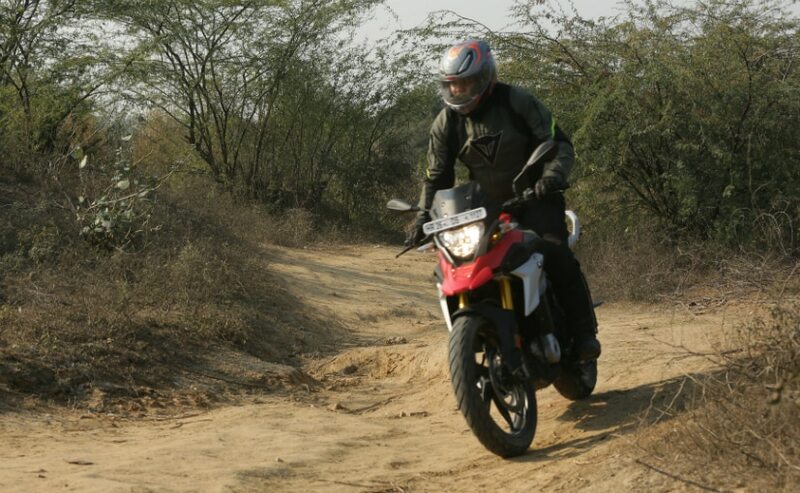 Unlike the R 1200 GS, the G 310 GS is not what you would call an out-and-out off-road motorcycle. Sure, the motorcycle can take on mild trails but anything more than that will be risking it. The alloy wheels will definitely not be able to take the kind of beating that wire-spoke wheels can and the plastic bashplate under the engine too is not meant to take big blows. The other thing that goes against it is the low-set handlebar. If you are sitting and riding, the handlebar position is fine, but if you are standing up, it is definitely not comfortable. One has to crouch a little too low for comfort and shifting gears when standing up takes getting used to. Grab the fuel tank with your knees and you will find that the slick material doesn't offer much support. Plus, there is a fair bit of dive up front should you grab a fistful of brakes! On gravel and dirt, the front end might feel a little twitchy and may not offer enough confidence. The Metzeler Tourance tyres offer decent enough grip on off-road patches and in case you really need to powerslide your way out, you will need to wring the throttle really hard. The BMW G 310 GS offers good performance on the road, be it smooth or broken. It is also game for mild off-roading and light trail-riding but anything more extreme, you might want to look at other options and at ₹ 3.49 lakh (ex-showroom, Delhi) it doesn't quite fall in the realm of affordable. If you are looking for something more rugged and industrial, you could check out the Royal Enfield Himalayan which is almost half the price of the G 310 GS. On the other hand is the Kawasaki Versys X-300, which is expensive by more than a lakh of rupees. 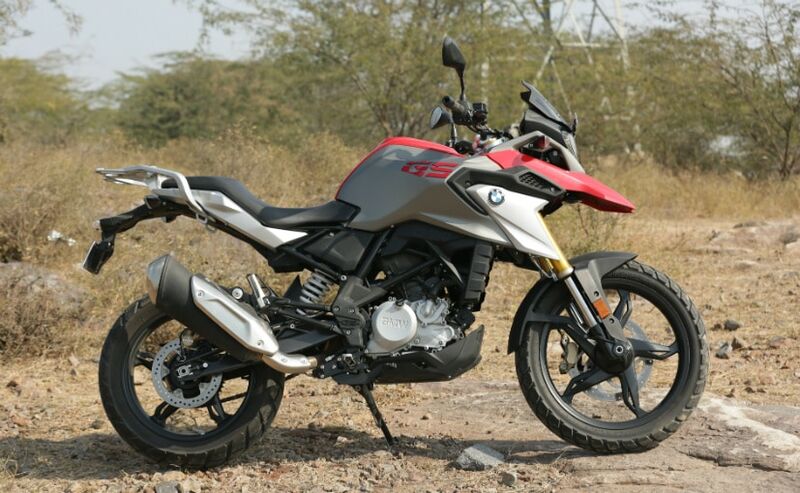 Like most BMW models, the G 310 GS too is an aspirational product. But if you do end up having the G 310 GS in your garage, you get the bragging rights of owning a Beemer, which is a pretty cool thing in itself.